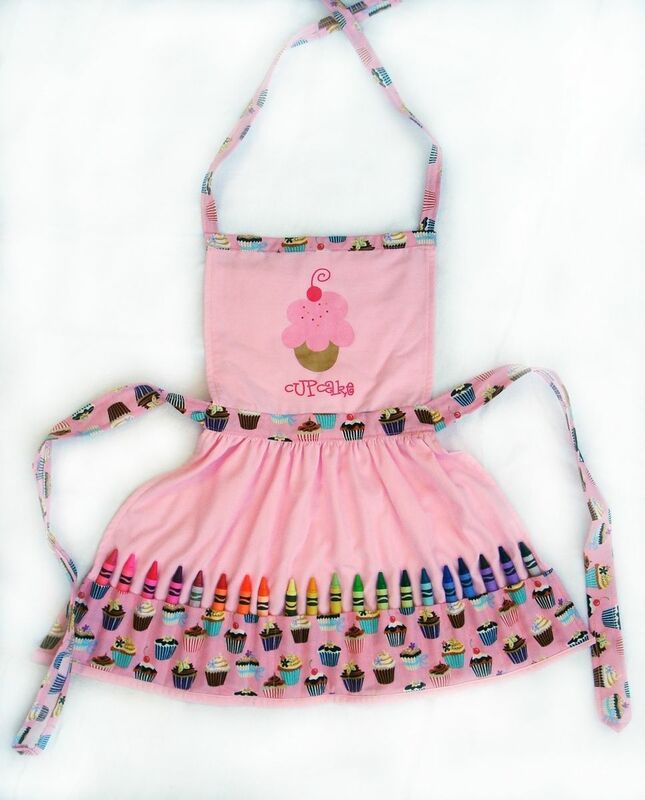 This is an adorable apron for girls that love to color! 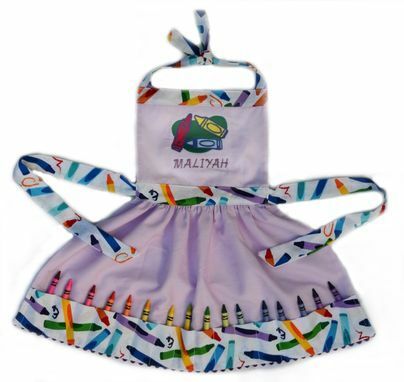 Keep those crayons handy with this playful apron! I used pink medium weight cotton fabric and the apron is lined on the top. In this photo there is an iron on cupcake on the top. I've also done custom embroidery with a cupcake, crayons, names, etc. The item for sale will be custom created to your size specifications, with requested theme and color and will have a decal and personalized embroidered name on the front. Just let me know what you want!